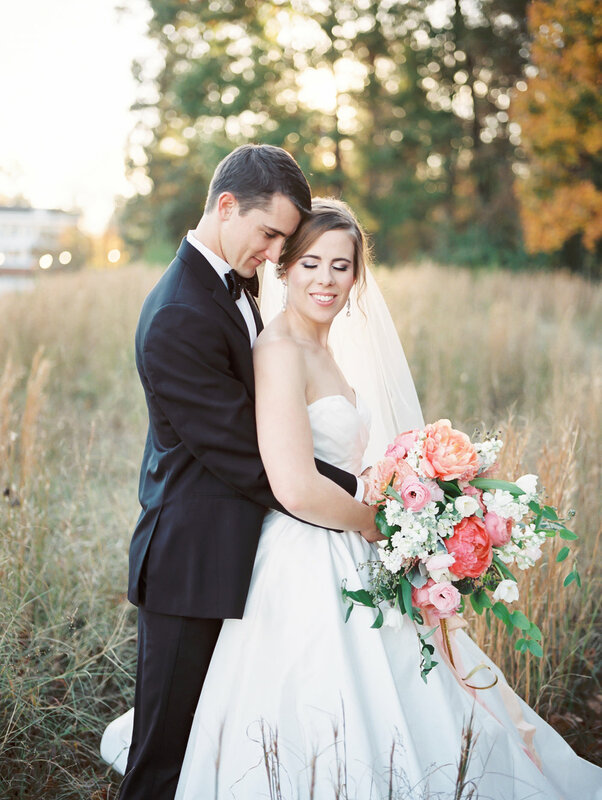 Want to plan your dream wedding, but don't have an unlimited budget? We've been there! Read some of our tips and tricks on how to save money along the way. All this to say, you CAN plan a beautiful wedding in a short amount of time and within a small budget, if necessary. Let's start with the Venue.. most likely the first vendor booked. 1. What's included? Chairs? Tables? Linens? Decor? 2. How much time do we have the day of? 3. How far in advance can we set up? 4. Do you have specific caterers we have to use? 5. Are we able to get ready on site? If so, do you have seperate rooms for girls/guys? 6. Where is the backup location for rain? How soon do we make the call? **I'm going to stop right here and say, this is a big one for me personally. We have seen too many beautiful wedding ceremonies rained out only to be under a tent, in a lobby, or in a barn.. where light and aesthetics just are not great. If you are going to pay money for a beautiful venue, make sure they have a beautiful rain option too! For us, we decided on Vesuvius Vineyards because they had a large white porch that let in lots of light and still had the greenery I loved in the background.. it would have still been a picturesque location had there been rain. 7. Do you have an onsite coordinator the day of the wedding? 8. 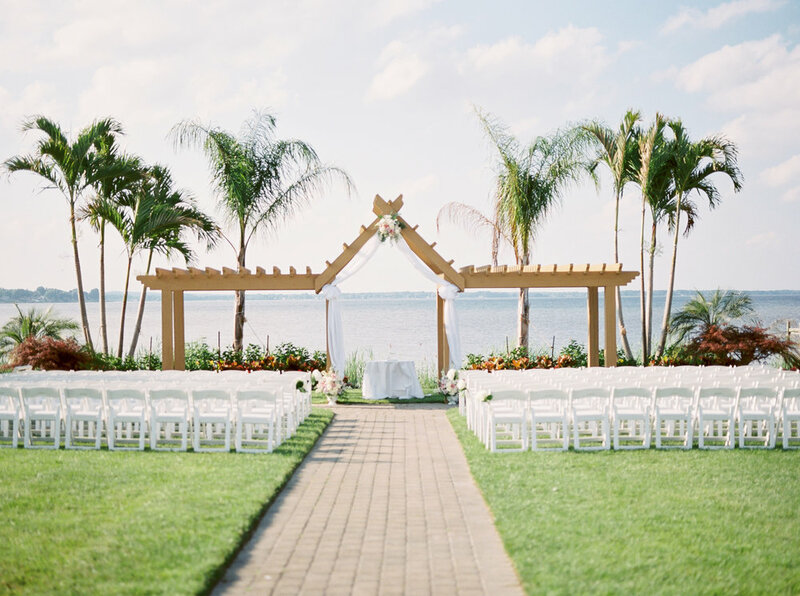 How many people do the ceremony and reception spaces hold? 9. Will there be someone or a golf cart for transporting the elderly? 10. Are there certain restrictions for photography? These are just 10 questions to get you going in the right direction. Do you see why the venue plays such an important role in the day? From our experience the venue can really make or break the mood of the day. This one is equally as important in my opinion. I am so thankful for Clockwork Events and Design and all that they did for my wedding. Most planners have different packages such as: planning for the entire of process, 3 months out, 1 month out, and day of. If you feel that you don't have it in your budget to hire a planner for the whole process, at least book one for month of or day of. You will thank me later. Weddings can be stressful, especially the few weeks leading up to the big day. Planners can take some of the weight off of you and be in contact with vendors to set up arrival times, details, and accommodations. It's also so important that you let your planner know your vision for the day, so that the day of you can leave everything in her hands to create your dream wedding. It is the biggest relief to have someone set up and tear down decorations and any of the extras you brought. The last thing you want is for family to have to carry this burden on one of the most important days of your life, they want to be able to enjoy it with you. This is one area that is definitely a personal opinion. I'm pretty sure if you told me how much I would spend on my dress, I would've said no way. Well, was I way off.. at least for me personally. Being a wedding photographer means that we see lots and lots of dresses, so I knew what I wanted going into my dress appointment. Most of these dresses were much more than I thought I would ever spend. I definitely ended up paying more than I ever thought for a dress (Please know, that it was definitely not as expensive as some, just to me personally it was a lot) but to stand in something you feel beautiful in is priceless in my opinion. I will say this however, you do not HAVE to spend lots of money to feel beautiful. If you have the money to get an expensive dress, shoes, etc. than why not. BUT, if you are already struggling to pay for the wedding, this is definitely a great area to cut back in. You can check out sample dresses, used dress stores, and online stores. This is one area that depends on you as a bride. If you are not one to wear much makeup, then why pay someone several hundred to put on some mascara? BUT if you're like me, and truly enjoy makeup and want a full face, this is definitely something to pay for. For one thing, it is nice not having to do it yourself on the day of. Hair and makeup artists can create the look you have in mind and will truly make you feel confident and beautiful the day of! I have combined these two categories because I don't have too much to say about either. I will say that food is expensive, especially when you are buying for 50+ people. The best way to eliminate this cost is by choosing (obviously) cheaper foods, such as chicken over steak OR by cutting down your guest list if possible. As far as entertainment goes, this is definitely a personal preference. Sound is really important on a wedding day, especially during the ceremony and during crucial times at the reception. The DJ or MC truly controls the flow and mood of the reception, and if he does not get the right song during the ceremony or during that first dance, it can be embarrassing. I truly believe if you go with a DJ or a live band or any other type of entertainment, it is solely a personal preference. Okay you guys, obviously I am biased about this one, but out of all the brides I have talked to, this can be the best decision or biggest regret on your wedding day.. want to know why? Yep, you guessed it. It's the only thing from your wedding day that you keep forever.. even your children's children will most likely see your wedding photos. That's a pretty big deal if you ask me. The only thing I will say about photography over videography is the convenience of printing and passing them on for years and years, not depending on the current technology. HOWEVER, I definitely see the importance of having a videographer or some type of video of your wedding.. even if it's at least just the ceremony. How else will you remember the songs played or hear your significant other exchange vows? I could go on and on about the importance of photography or videography on your wedding day, but then this post would be even longer than it already is. Just trust me, it is worth the investment. One way to cut cost in this area is lowering the amount of hours that you hire your photographer for.. maybe you really don't need getting ready pictures or maybe you don't need hours of dancing footage, ask your photographer or videographer if they have any other packages that have less hours to accommodate this. Oh yea, and side note.. you truly do get what you pay for, so please please make sure you ask your photographer questions and genuinely seek out a photographer that has the same eye for detail and aesthetics as you. I will make a blog post about this issue at another time. This is an area that I have changed my mind about just in this past year. To put it rather bluntly, I have seen weddings look bad because of florals and weddings look amazing because of the florals. It is a make or break in the overall aesthetic of your wedding (If that is what you care about of course! :) ) It brings all your colors together and really ties in the theme you are going for by the type of arrangements your florist creates. The best weddings we have photographed and submitted for publications are the ones with amazing florals.. it just makes the difference! Again, this is still something you can cut down costs on in certain areas.. for example, you could use more greenery to make the arrangements cheaper. You could do smaller centerpieces, or just greenery for the tables. For the bouquets, you can have the bridesmaids with more simple styles and lower cost flowers, whereas yours can contain the larger more expensive flowers. I truly hope that this post was helpful to you! Please keep in mind that every bride and every wedding is very different, and what you place importance on may be different than someone else. I only created this as a guide and as my thoughts on the budget issue. There are definite ways to cut corners, but please know that most wedding vendors do an amazing job, and truly deserve what they cost because of their hard work! To learn more tips and tricks for planning your wedding, sign up for our newsletter to find out about our most recent blog posts!